You would think it would be easy to make a good cup of tea and you would be right! But like anything you try to make it requires the proper equipment and understanding of the product. These days making loose herbal tea is fun since there are so many interesting strainers and steepers on the market. 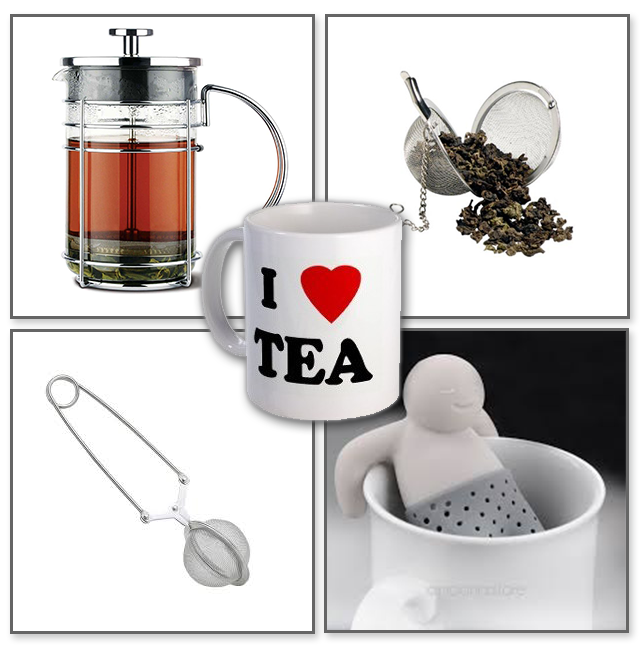 You can be a traditionalist and go with a metal tea ball or infusers, go European and use a French Press or get creative and stuff the herbs in the pants of little silicone man who hangs on the side of the cup! What matters the most is not what equipment you utilize but the herbs you use, how hot the water is and how long you should steep the herbs. Boil Water – it is important never to use Aluminum when boiling water for tea – Glass, Ceramic and Stainless Steel work great. You can use a saucepan, tea kettle or an electric water boiler. Once the water has come to a boil turn it off before placing the herbs in the water. Do not boil the herbs as it can change their effectiveness and flavor. The suggested temperature is 212 degrees Fahrenheit. Place herbs in a strainer – Any item that allows you to strain out the herbs prior to drinking is acceptable. Follow the directions provided by the manufactured to determine how much to use. A good rule of thumb is 1 Tablespoon to 8 oz of hot water. Pour water over the herbs – be careful as the water will be very hot. Recommended Steeping Time: This can vary based upon the type of herbs you are brewing. Leaf Tisanes typically steep in 2 to 3 minutes whereas Root Tisanes might take 10 to 15 minutes. If you are trying to prepare a blend of leaf, roots, flower, etc. we suggest a minimum of 5 minutes to brew a good cup of tea. The plants release their benefits and flavor differently as they steep…some all at once and others longer. Should you cover your tea when steeping? That is the best way to get the most healing benefits and flavor. There are complex essential oils in plants – the same oils used in aromatherapies. There are also healing elements in the plant walls and fibers known as nutrients. The hot water releases the nutrients and essential oils and covering the tea keep these from going up in the steam. This results is a complete herbal tea infusion. This is strictly personal preference. When drinking natural products adding Honey or Stevia is a good complement. What should I expect from a properly prepared cup of herbal tea. The tea will smell stronger, look richer in color, have a full flavor and have incredible health benefits! Sit down, relax and enjoy! 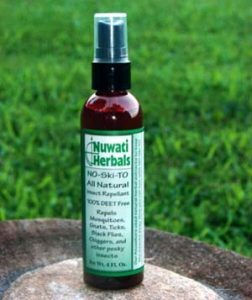 PreviousPrevious post:Nuwati has New Items and a March Sale! 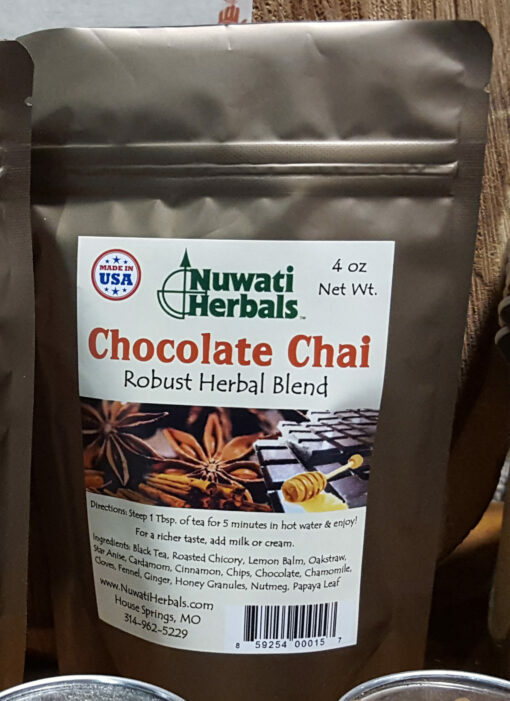 Robust blend for chocolate lovers! 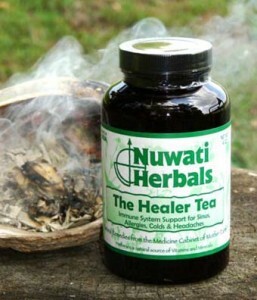 Healer Tea 40z – Best Selling Product! The Healer clears out the sinus passages and can alleviate symptoms of allergies, colds, flu and headaches. 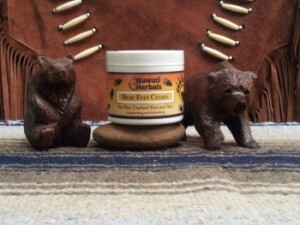 This thick, deep moisture cream contains herbs that help fight bacteria.